Retailers, are you ready for the 2018 Holiday Season? 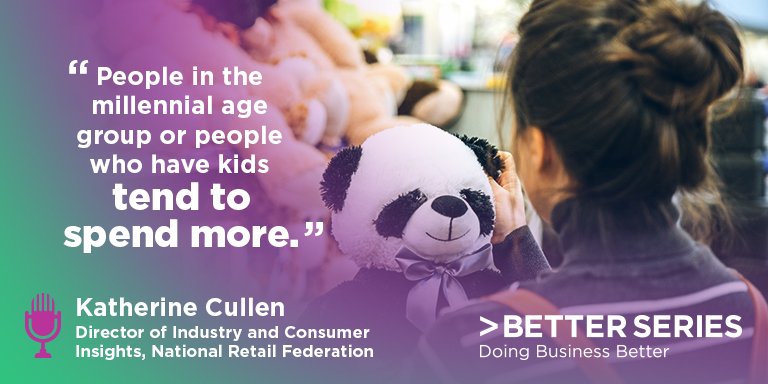 The National Retail Federation is our guest for this episode of Better Series. Director of Industry and Consumer Insights, Katherine Cullen stops by to provide some helpful tips on consumer expectations this holiday. Tune in to getting ready for what the association describes as a shopping season on the “up”.